Suits are a staple for most discerning gentleman’s wardrobe. There are many who say you should have at least one good suit to your name. If you work in a smart work environment, they are essential, but, even if you don’t – there are plenty of times and situations in life that call for you to wear a suit. 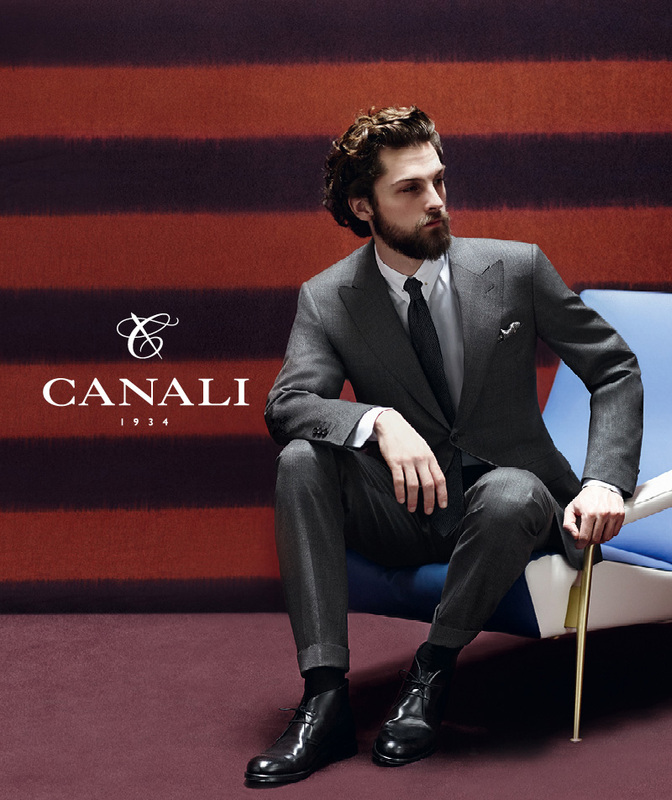 Canali is a popular brand of menswear with discerning gentlemen throughout the world. They are known for producing some of the best and most stylish suits on the market, and have done so from the very beginning. What makes Canali suits so special? In the following post we will look at some of the main reasons if you are going to invest in a trendy, attractive and well made suit why you should make sure the label says Canali. From Triuggio in Brianza, it is the dedication to style and sophistication in their designs that have kept Giovanni and Giacomo Canali at the upper echelons of the fashion world. They have always taken a serious amount of pride in the work they produce and with their creative flair, cutting edge production techniques and innovative designs there is only one way Canali as a brand could and continues to go – upwards. Although the brand has moved on to include accessories and other items (it was initially a strictly suits operation) it has never lost its creative vision and flair. Since 1934 Canali has been known for its use of prestigious textures, fine styling and skilfulness at tailoring to produce their luxury suits. One of the main defining features of Canali suits is the fact that they are not only just made in Italy but are made from materials sourced locally. This is primarily why you should not be too shocked at the price. Everything is sourced from Biella and the fabrics are created especially for Canali, adding to the exclusivity of their designs. The initial cut is always pristine, thanks to the team and their skill for hand stitching, really showing the labels years of in-depth experience in tailoring. Sticking with traditional methods and techniques, the suits are sewn not fused with a core of peloncino, horse and camel hair which give the suits the necessary shape. Regardless of whether you want one because of the way it hands off your shoulders or because of the pristine symmetry without their being even a touch of stiffness. All their suits come with a guarantee that they will be supple, comfortable and ultimately, very wearable. Canali has an uncanny ability as a fashion brand to pair the right fabrics and materials with the right style of suit for a tailoring match made in heaven. For instance, for warm, soft and weightless cloaks, they use fine baby cashmere chinchilla; and for a silky smooth finish they use luxurious cashmere sable and cashmere mink. That’s even without mentioning their use of delicately fine wools, including the angora-chasgora blend. Regardless of whether it’s a big flashy production that requires a debonair and stylish leading man, or just for something nice and sophisticated on a hot dinner date, award ceremony or an interview, the famous men of Hollywood consider Canali the best suits in the business. • and George Clooney in Michael Clayton. If you are on the search for a fine Italian suit and are not worried about paying a little extra, if you know you will get great value for your cost and a hard wearing robust suit that will stand the test of time, you may want to consider Canal. When buying a suit you need to take a look at the creative team behind the design and creation of the suit, the materials used, the artistry and skill involved in putting it together, as well as how good it actually looks on and how long it is guaranteed to look as well as it has initially.